The centennial of Margaret Walker’s birth on July 7 reminds Old Gold of the endurance of the written word and the spirit it conveys. Walker (1915–1998), an acclaimed poet and author, was at the forefront of Chicago’s African-American literary movement in the mid-20th century. She is also an alumna of the University of Iowa, receiving a Master of Art in 1940 and a doctorate in 1965. Walker came of age at a time of rising black consciousness as the civil rights movement emerged in the United States. Her poetry collection For My People was praised as a breakthrough in expression of sorrow, anger, yet great optimism, and it received top honors in the Yale Series of Younger Poets Competition in 1942. Two years before, in 1940, her collection was submitted as her master’s thesis; Paul Engle, director of the Iowa Writers’ Workshop, served as her academic adviser. be the pulsing in our spirits and our blood. 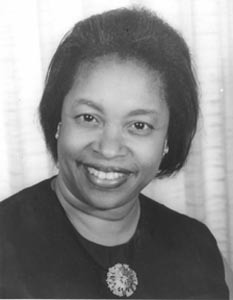 In the early 1960s, Walker returned to Iowa City, this time to pursue a doctorate degree. 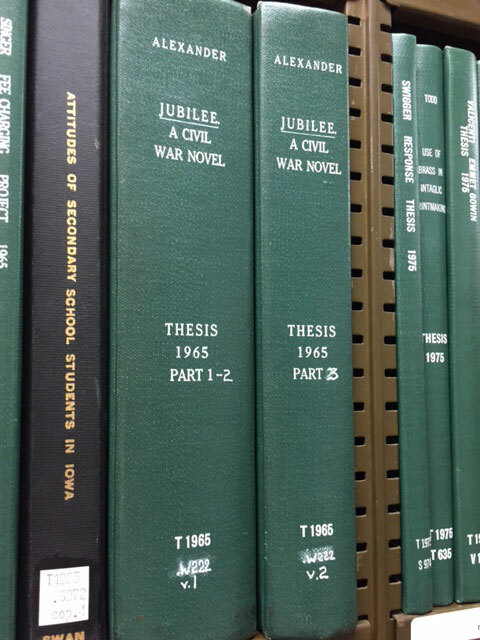 Her acclaimed novel Jubilee, published in 1966 under her married name Margaret Walker Alexander, was set in the Civil War South and drew from manuscript collections in a dozen repositories, including UI Special Collections in the Main Library. Her Iowa mentors at this time included Vance Bourjaily and R. Verlin Cassill, both members of the faculty of the Writers’ Workshop, and Alma Hovey, assistant professor emerita of English, who shared her home with Walker during her doctoral research. Today, the Margaret Walker Center at Jackson State University in Mississippi, where she taught from 1949 to 1979, is a testament to her dedication to the study of African-Americans—their history, their culture, their heritage. Her personal papers are also housed there; meanwhile, the original, unpublished forms of two of her most highly acclaimed works are at the University of Iowa Main Library’s Department of Special Collections. Old Gold is in awe of these works and of the remarkable woman who created them.